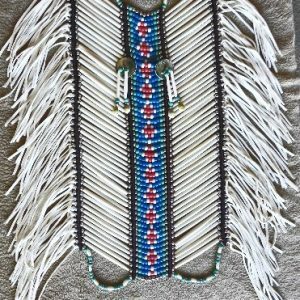 This 40 row Breastplate is hand made with antiqued genuine bone hair pipes, real brass beads (spun brass, not electroplated) & red glass crow beads. (Different colored glass beads available upon request.) 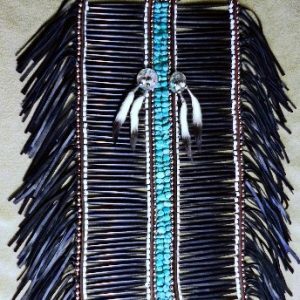 Buttery soft buckskin leather is used for ties & fringe. 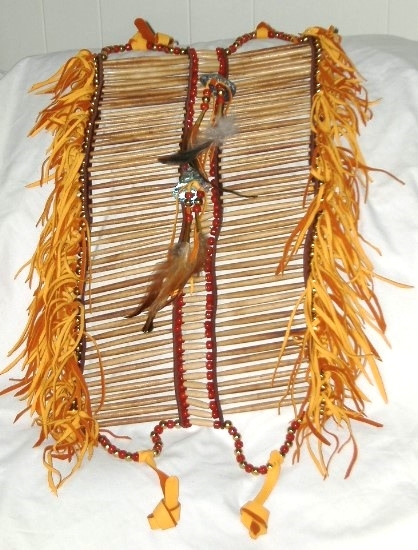 It is decorated with 2 large highly polished abalone shell pieces, leather fringe, brass cones & feathers. 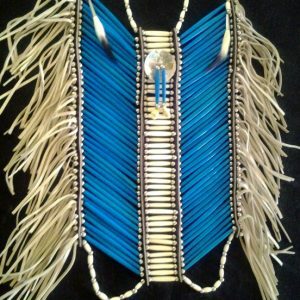 This breastplate will wear nicely with your regalia or you can display it & enhance your home or office decor. 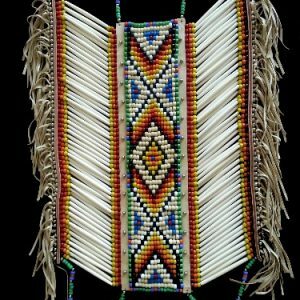 This Breastplate is hand made by actual Native Americans & comes with a Certificate of Authenticity.